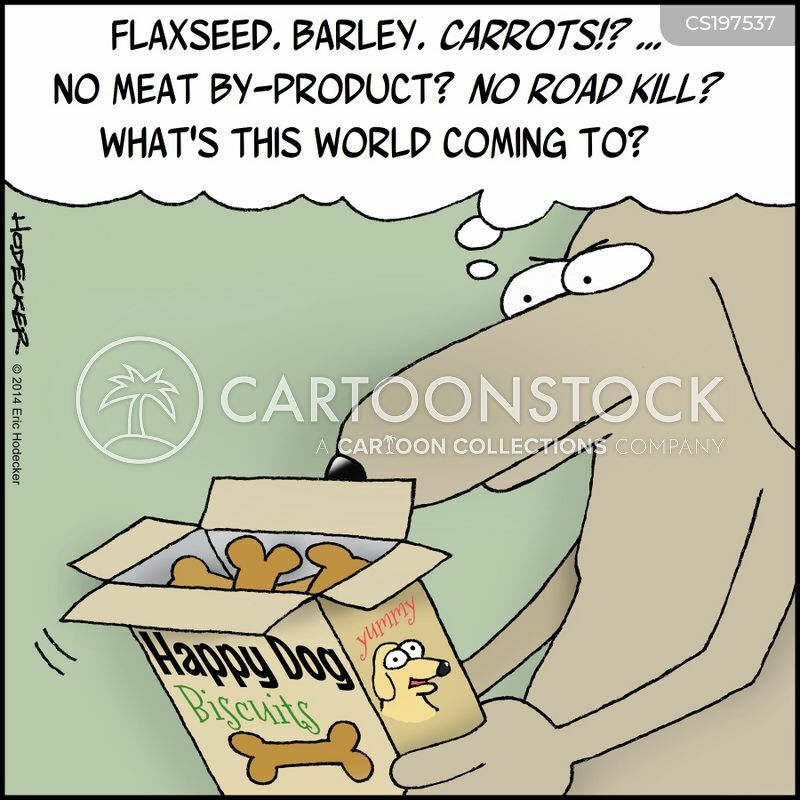 ". . .What's this world coming to?" 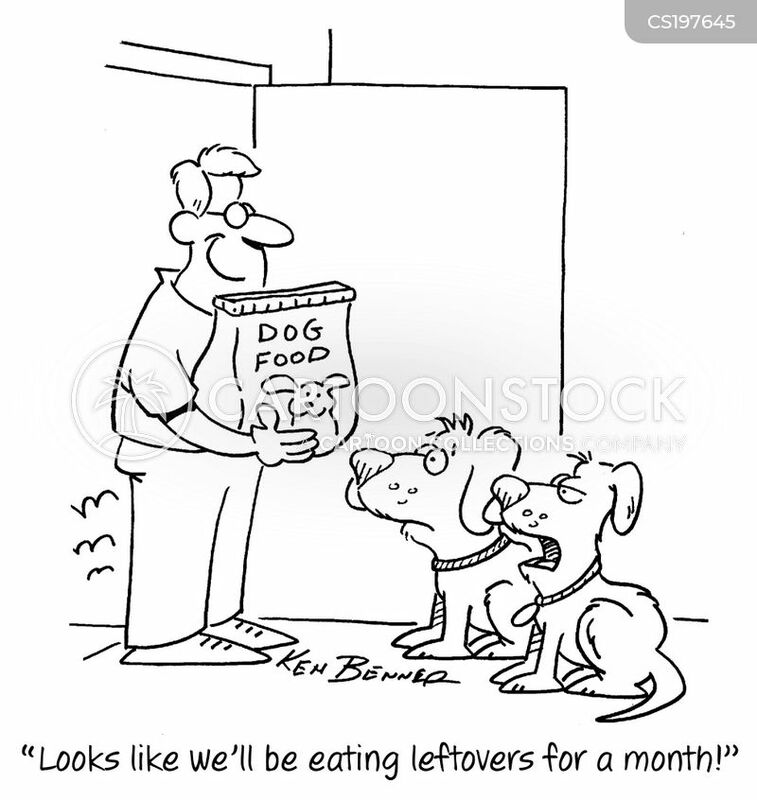 "Looks like we'll be eating leftovers for a month!" 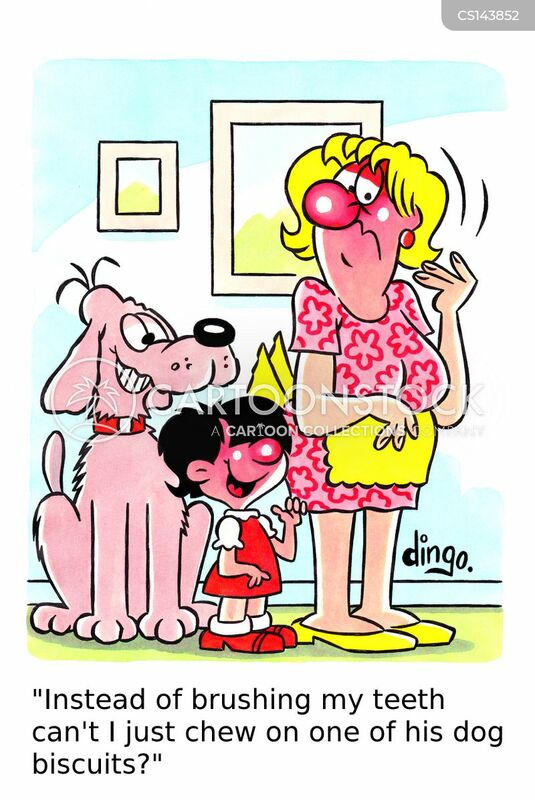 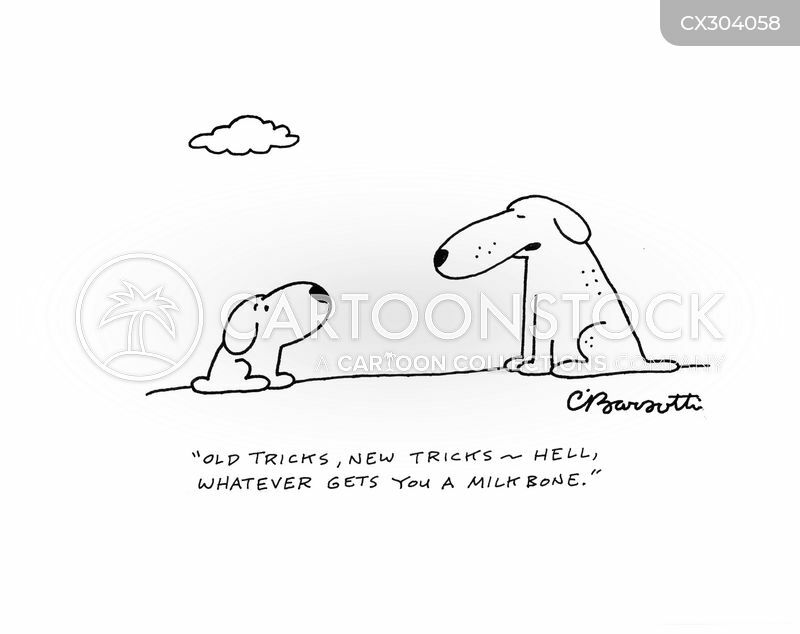 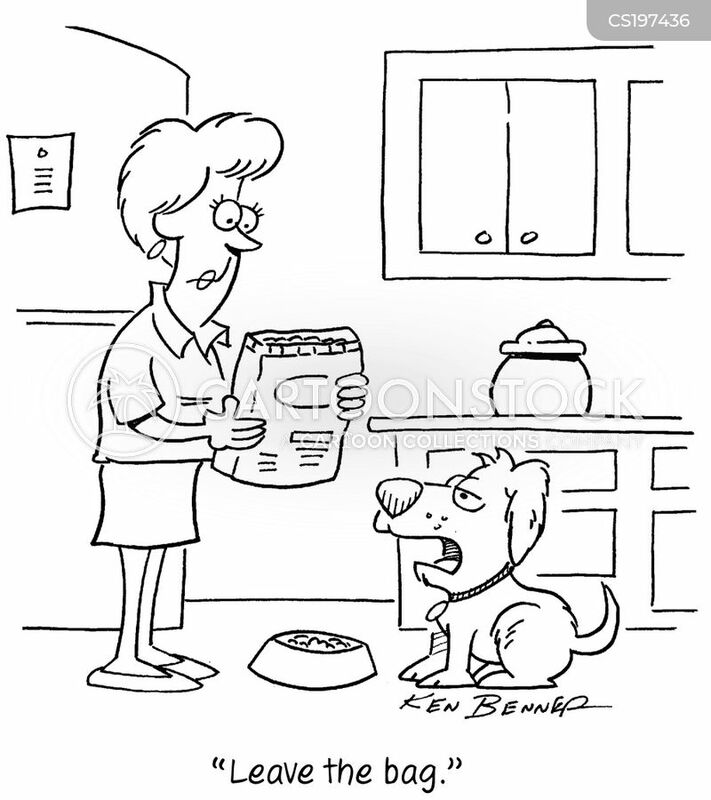 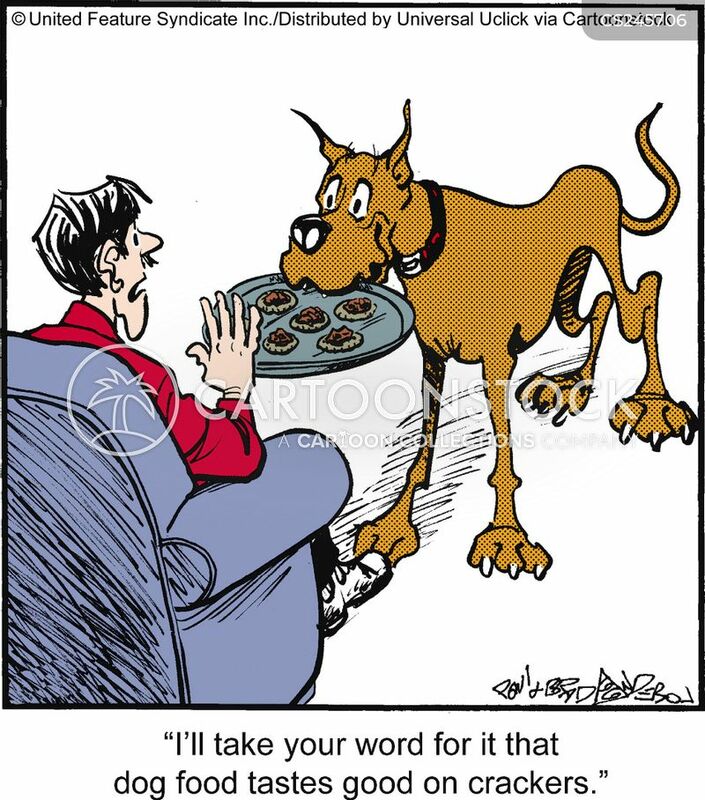 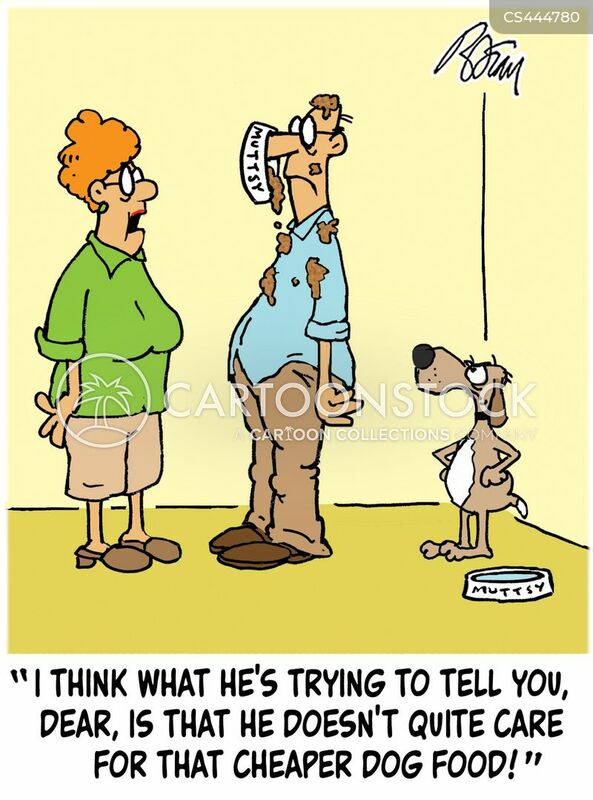 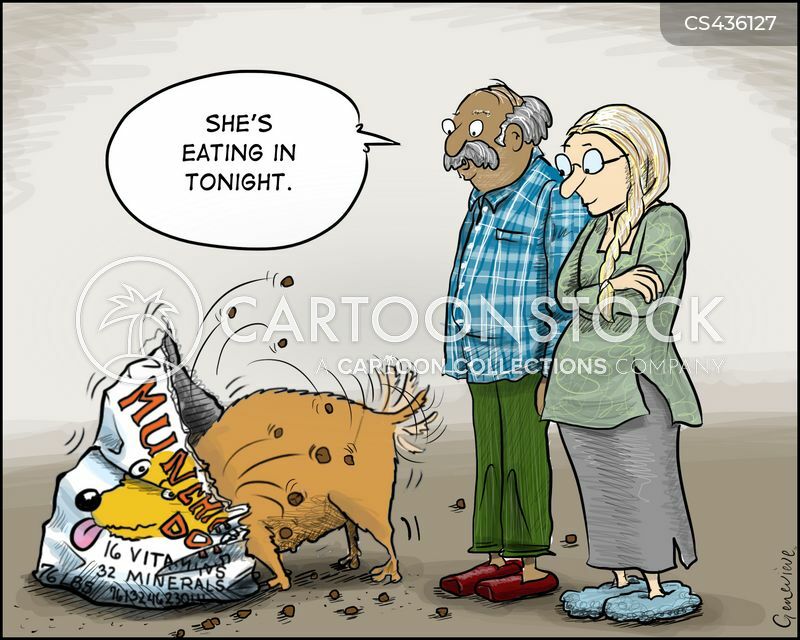 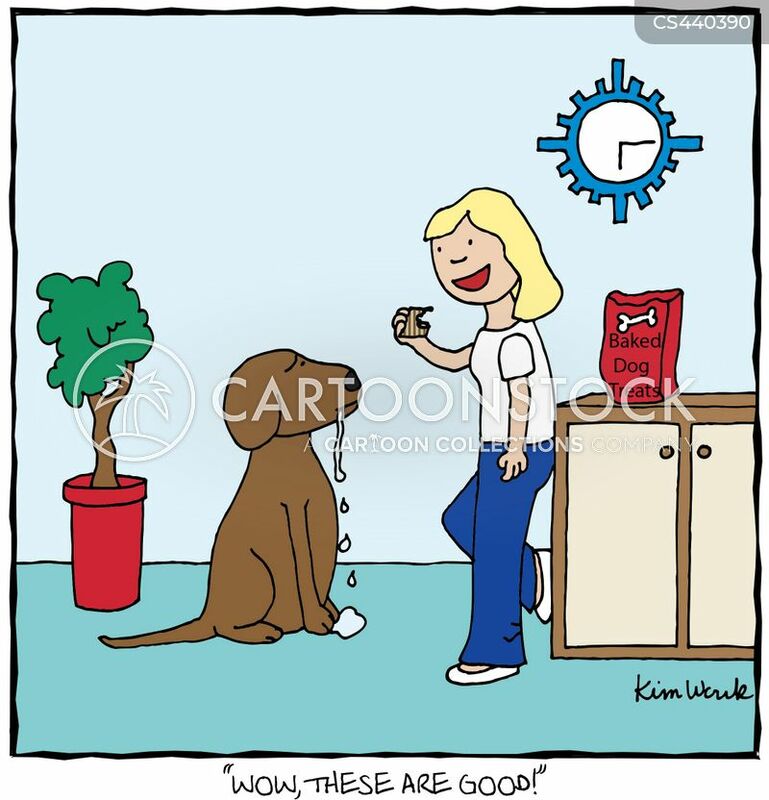 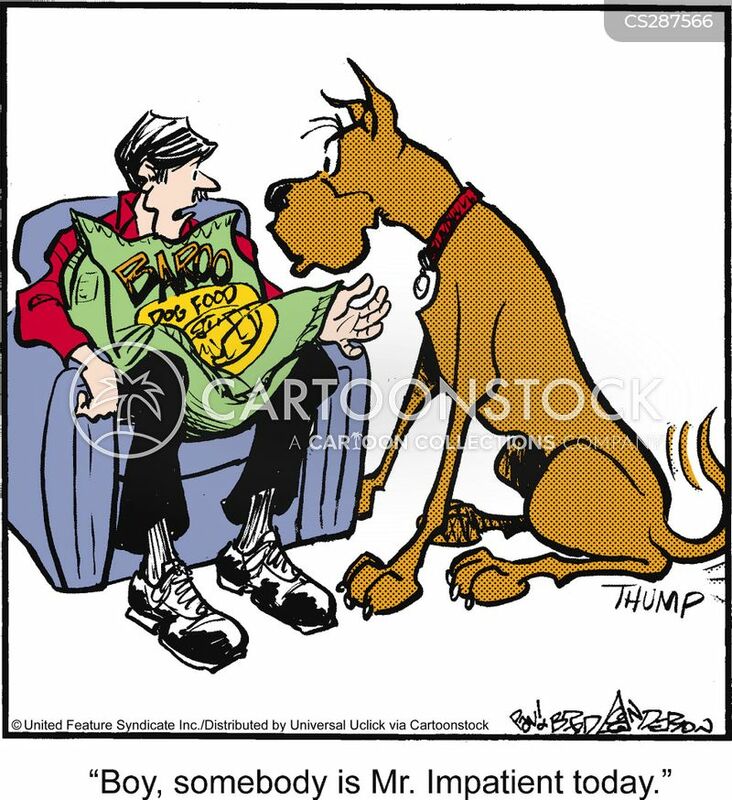 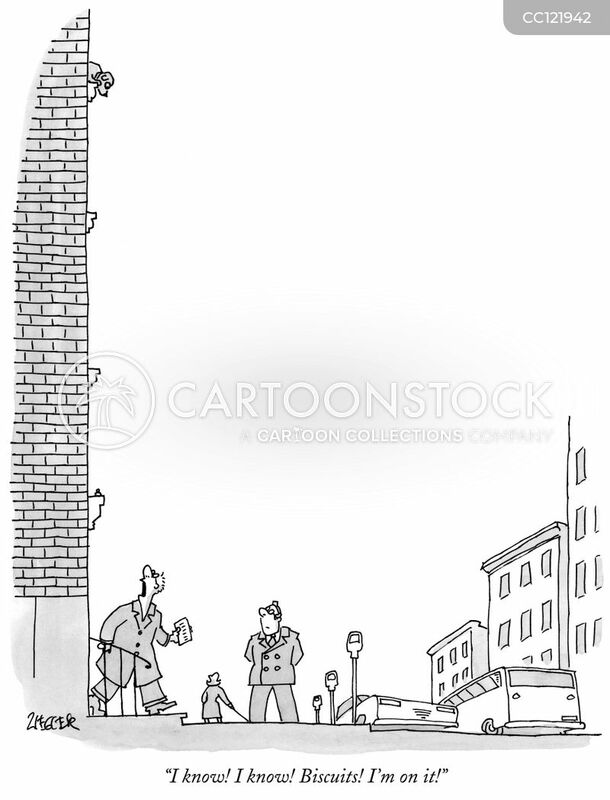 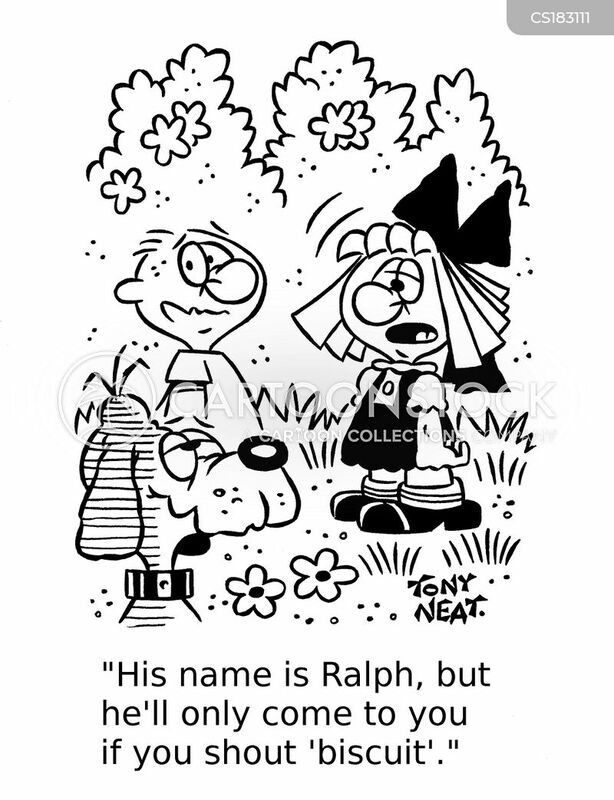 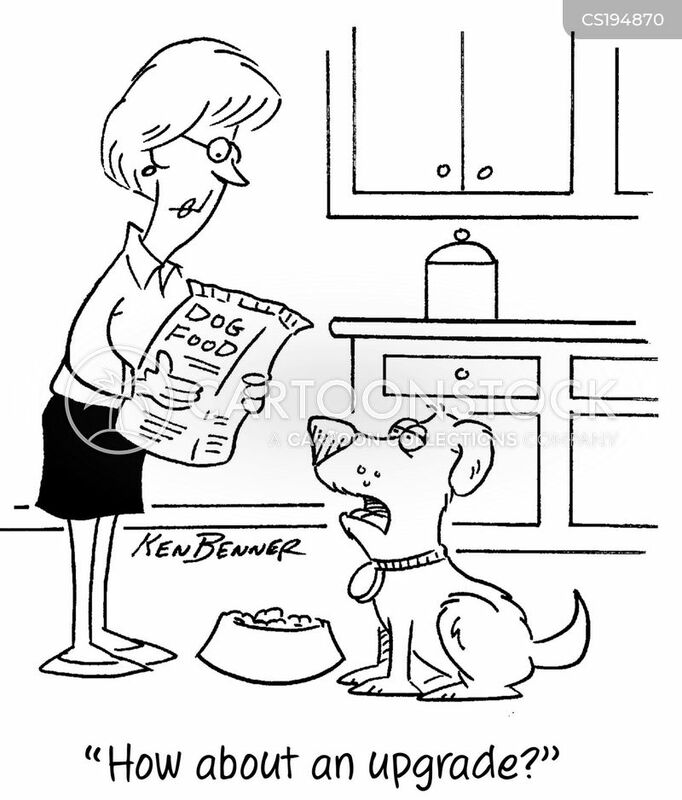 "Old tricks, new tricks - hell, whatever gets you a milkbone." 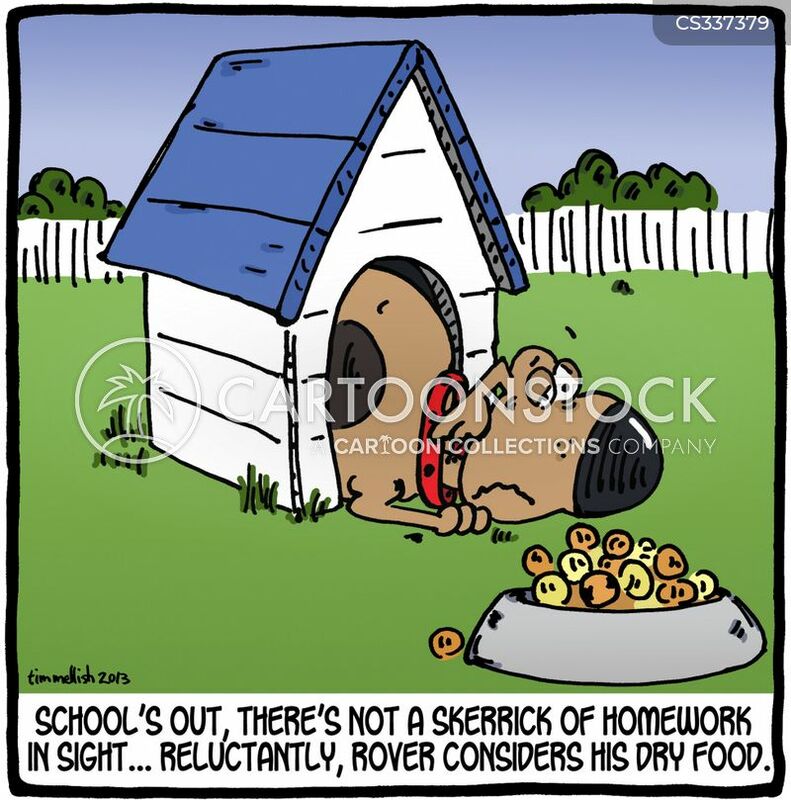 School's out, there's not a skerrick of homework in sight...reluctantly, Rover considers his dry food. 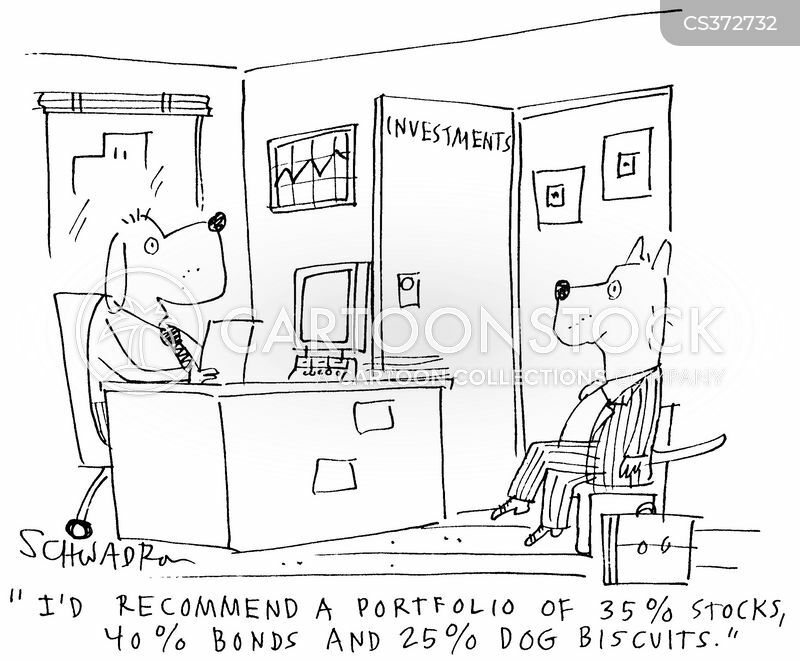 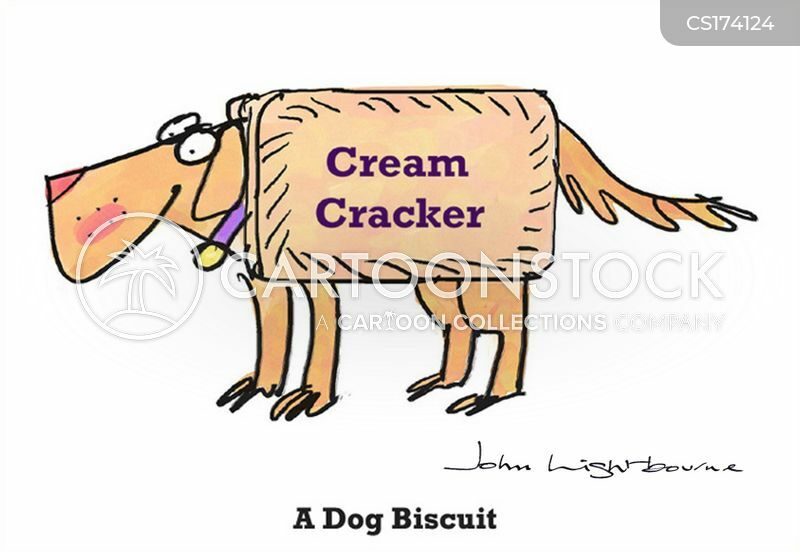 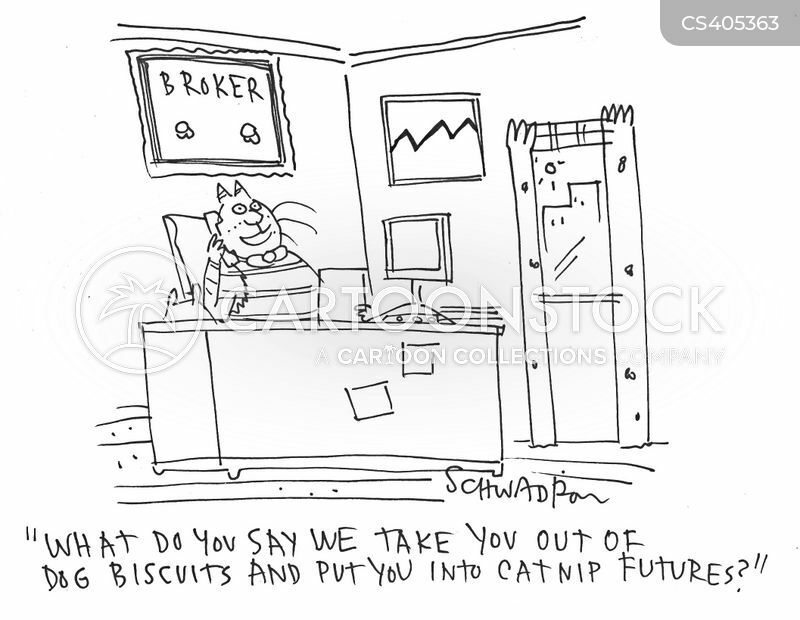 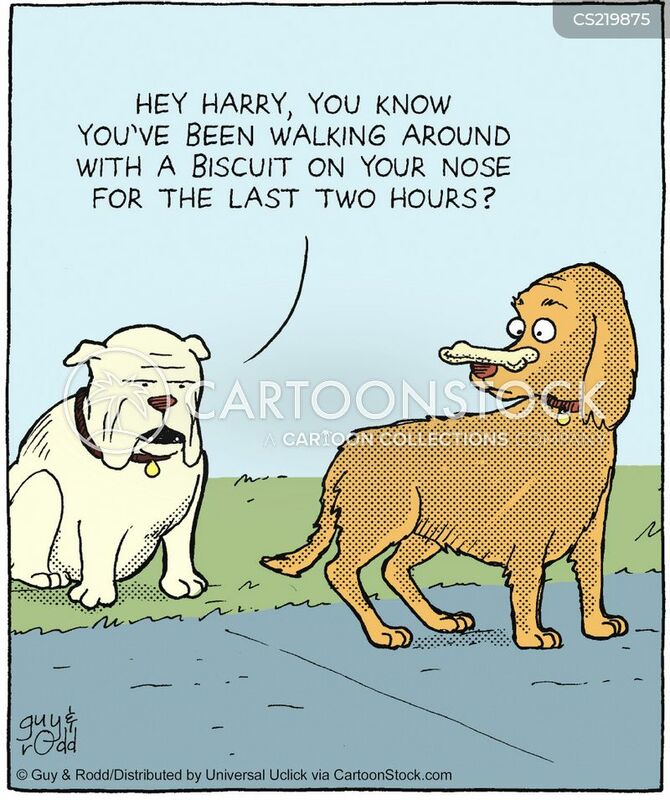 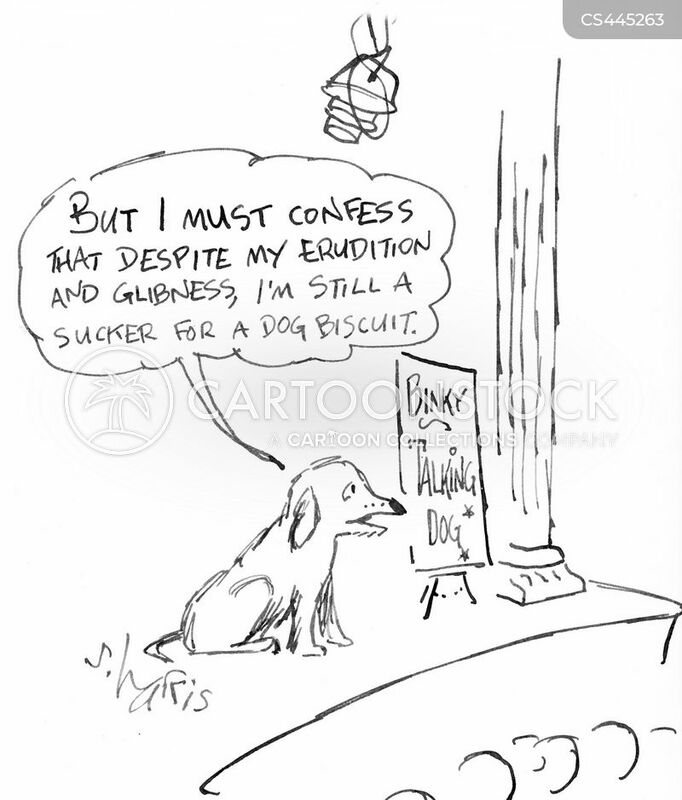 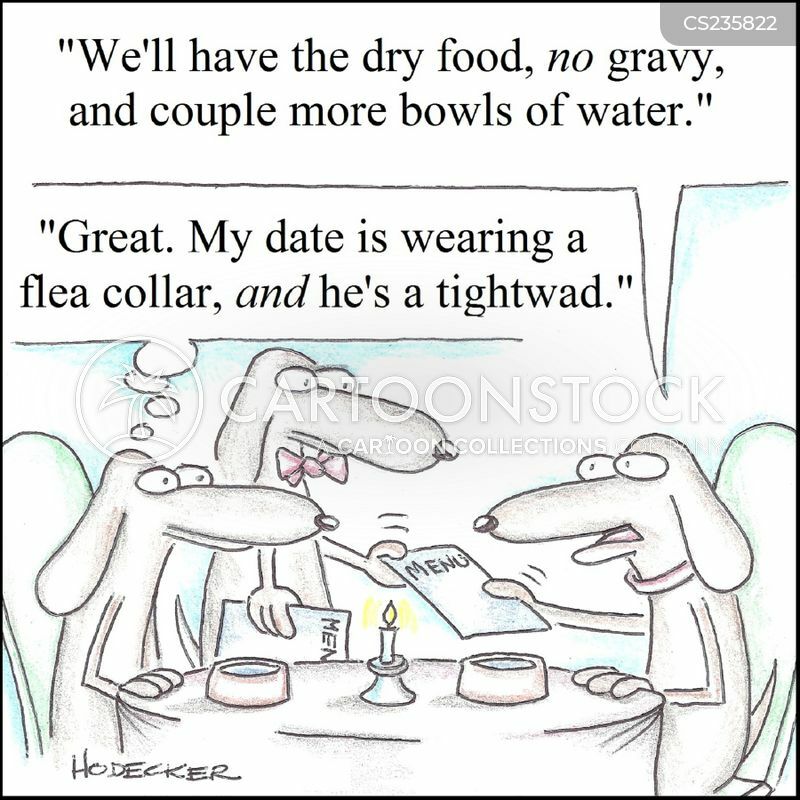 "But I must confess,s that despite my erudition and glibness, I'm still a sucker for a dog biscuit." 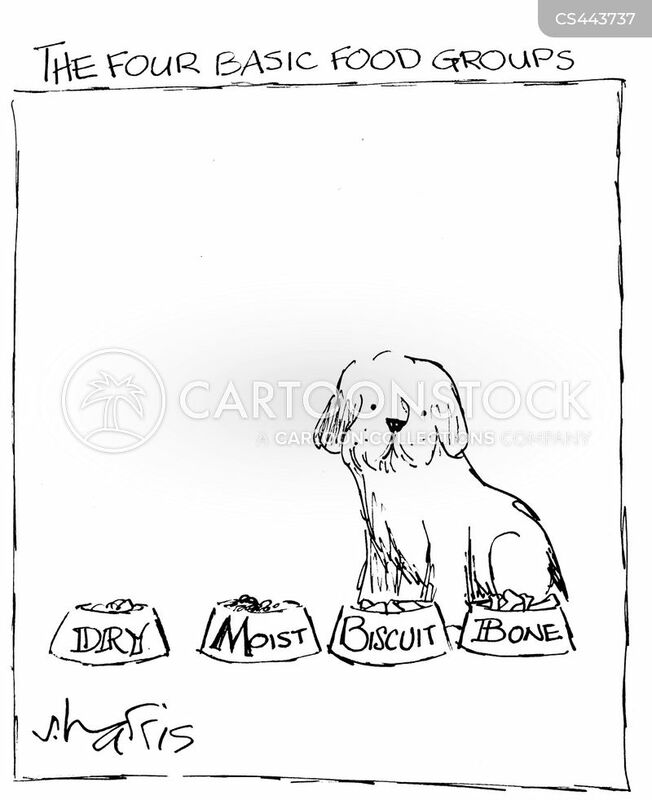 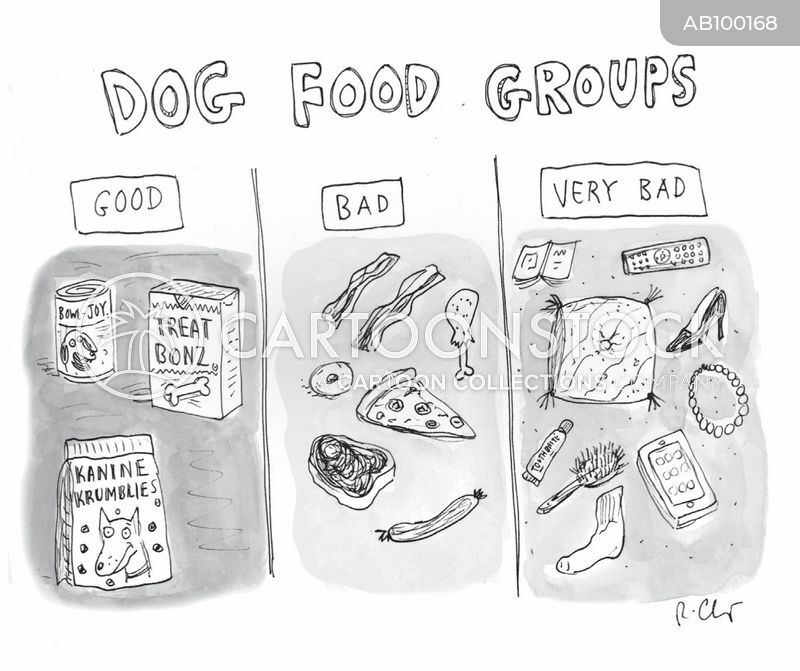 The four basic food groups: Dry, Moist, Biscuit, Bone. 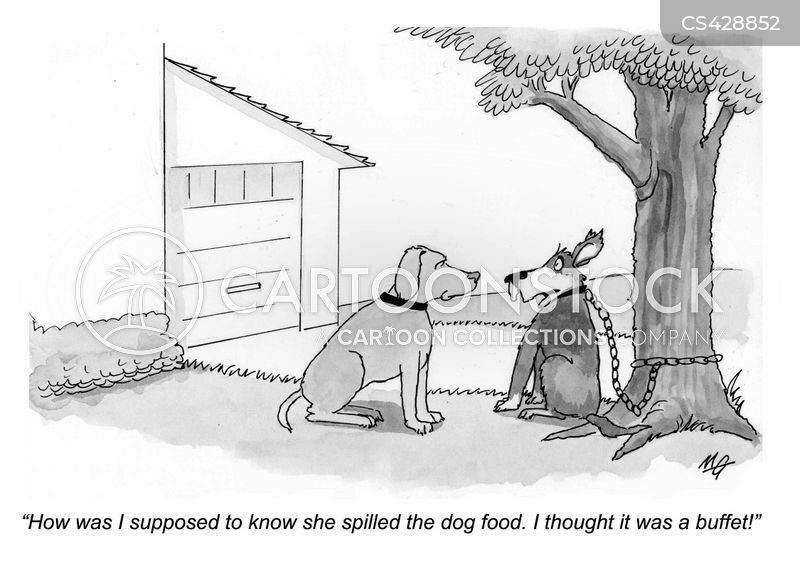 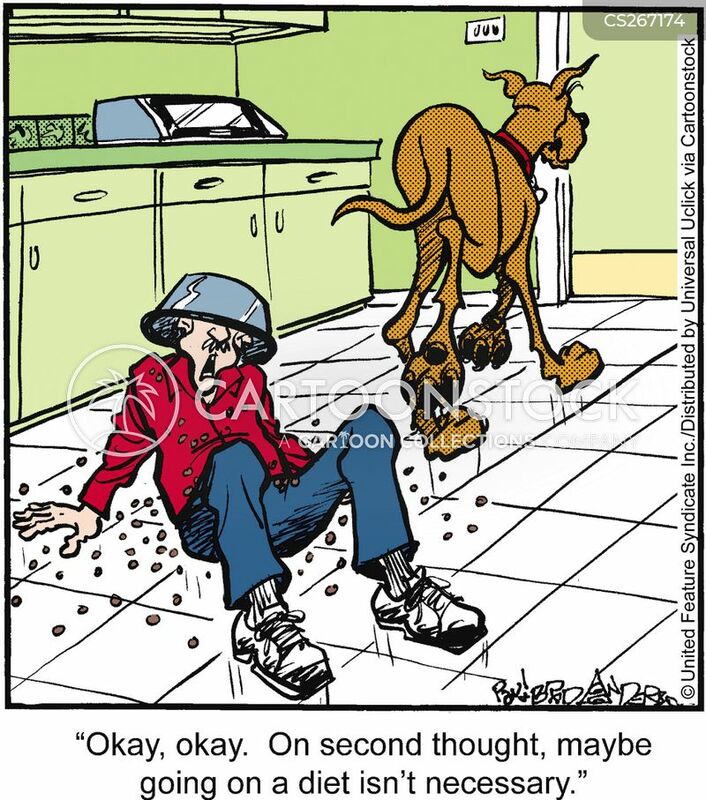 "How was I supposed to know she spilled the dog food. 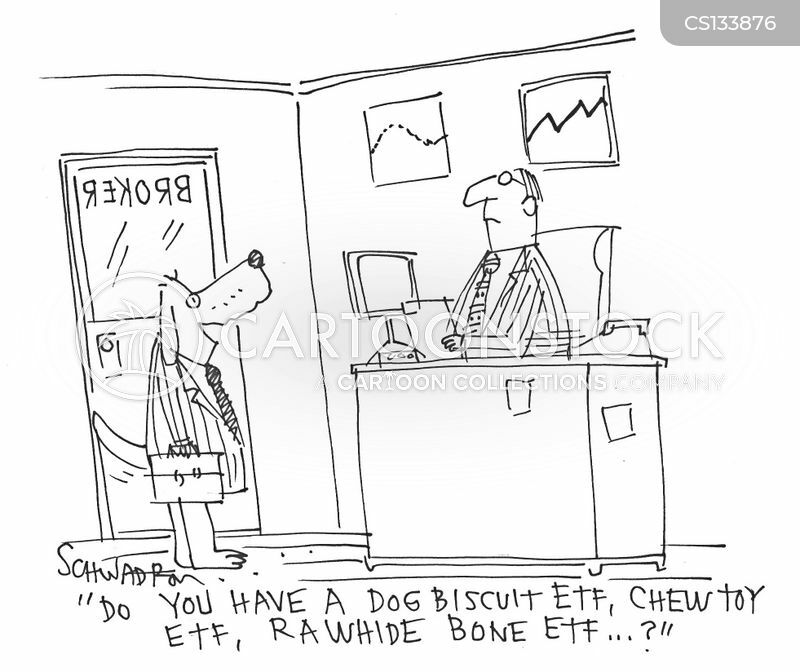 I thought it was a buffet!"